1. I spent the majority of my childhood wishing to be grown up and now that I am grown up, I spend the majority of my time wishing I was a child again. 2. I'd like to be cool and sophisticated and sip on iced lattes while I rush to important meetings wearing my sunglasses, but I secretly think that they taste like what happens when your hair gets stuck in the wrong end of the hairdryer. 3. I never leave the house without my mini book of flowers, just incase I come across a wild flower that I'd like to know the name of. 4. I think that tea and biscuits can cure anything. 5. I am a total space geek and love to spend my evenings staring up at the sky, finding constellations and planets. 6. I always have a hairband round my wrist and get kind of frantic if I find it's not there. 7. If I met up with you, I'd probably bring cake. 9. I love mornings. I love to wake up early and make something special for breakfast. I love to take walks in the cool morning air and don't understand how people can sleep in until late - those who wake up late often don't get a chance to see the sun before it hides behind the clouds! 10. Whenever I hear an ice cream van, I turn into a 5 year old, leap out of bed and go and press my face up against the window. If it happens to stop, I can be out there in 3 seconds flat. EDIT: I want to give this award to Sabrina too. Sorry award people, but 6 creative blogs just isn't enough! I'm sneaking someone else in! Grats on the award. 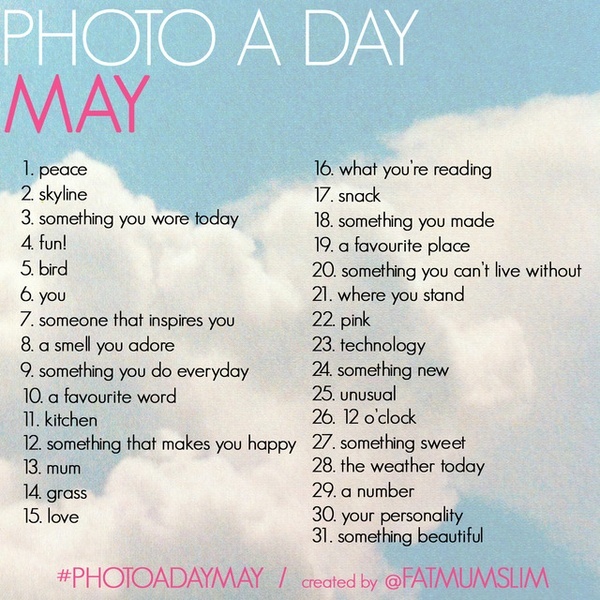 :) And that photo challenge looks awesome, I may do a couple of them too. 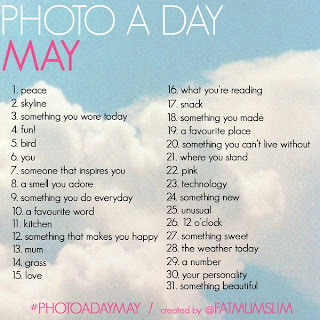 Stressing the word "may", though. Lol. Thanks for sharing! Congratulations on your award! :) I loved getting to know you a little bit by reading this!! Your window story had me laughing out loud. SERIOUSLY. Ha, I'm like Laura...I think I've given up on sophistication also! #3, 7, and 10 are the best. I need to work on waking up early and not being grumpy. Today I miraculously woke up at 6:00 (it's usually 7:00), and I feel much more productive after my walk with the dogs and seeing the sun peek through the clouds. I love the second one. You made me laugh! I've been so lazy since the challenge that I will run with this award! Thank you! Aw! I enjoyed reading facts about you, darling you sweet sweet girl! We're almost alike in so many things, and it keeps getting me goosebumps.